When people seek advice on purchasing a PC one of the things I normally ask them is what exactly they want to use it for. On most occasions, the answer is a variant on watching movies and TV from the internet, games, web browsing, and home or office work. Unless gaming in that particular list refers to top-tier titles that need a powerful graphics card, then a standard PC will suffice. In a nutshell, if you know precisely what to look for in a PC, then you can get the most for your money. Purchasing a refurbished PC will enable you to get more powerful hardware at a similar price. However, there are a couple of things that you should be aware of. Unfortunately, the term "Refurbished" doesn't have an official definition as of yet, which basically means that you have to do a bit of research. As a matter of fact, expect to see variations on the term while shopping around. 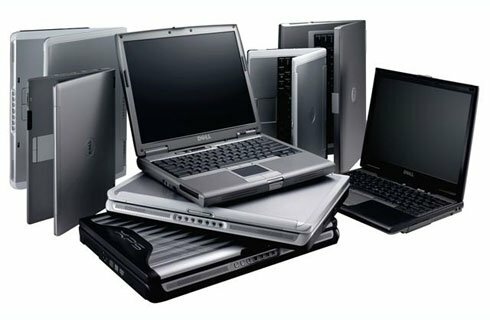 You should expect a PC bearing the term "Refurbished" to be physically cleaned, reinstalled and inspected to ensure that it is working well. For example, you should look for a refurbished PC from a provider that extensively tests the hardware. This means both physical inspections and also using PC Diagnostic Tools from from a company like www.eurosoft-uk.com. These tools will help make sure the PC is in working order before being shipped off. Generally, you should write down what exactly you should expect. The specifications should be listed down, but you should also indicate the condition of the PC. Ensure that you have a guarantee or warranty that clarifies who is accountable for the repair or replacement of your PC if it malfunctions. If you purchase a PC from a brick-and-mortar shop, you will at least have a place to take back the PC if it breaks. You will, however, need to be quicker about taking it back to the store if you disliked its condition after using it. If you purchase the PC via phone or online, you usually can return it anywhere from 30 days to 6 months. You can certainly get a bargain buying a refurbished PC. Personally, I prefer buying items from reputable companies or stores that I know I could get compensated in case anything went wrong. If for instance, I was at the market looking for a Mac I would unquestionably buy a refurbished PC from Apple. It is a perfect way to earn a bargain. You should, however, understand the risks that you are taking and heed the advice that has been outlined above. There are risks when purchasing almost anything and PCS are delicate and complex machines. Finally, my last word of advice is: if a particular deal appears too good to be true, then it probably is. Watching 3D Entertainment: Will it Make You Go Blind?